The International Digestive Disease Forum (IDDF), a highly anticipated signature event of IDD, is now in its 5th year. Held annually in June at the Hong Kong Convention Centre, the Forum brings together over 1200 delegates and world-class speakers from around the globe for real-time connectivity and interactivity. Medical leaders, practitioners, young investigators, and industry partners congregate over a weekend to exchange ideas, showcase their research, gain insight into the newest trends and develop consensus on GI practices across the Asia Pacific region. 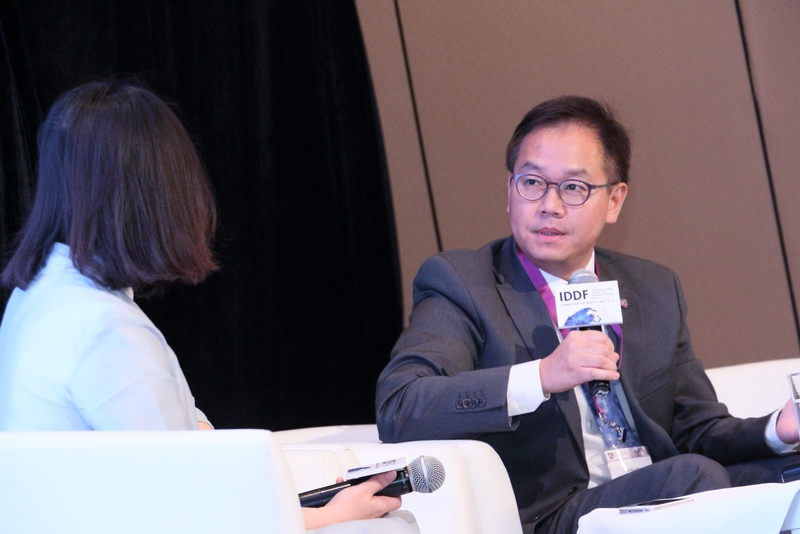 In an interview with Scope, the chairman of IDDF’s Organizing Committee, Justin Wu chronicles the forum’s progress and envisions its future development. Scope: Why did IDD organize IDDF? Wu: The organizer of IDDF, The Institute of Digestive Disease has a strong local and international reputation for teaching, training and research. By virtue of our strengths, we consistently seek collaboration and networking opportunities with overseas institutions and industry partners. A forum, therefore, is an ideal platform to achieve this goal. We host the world’s top experts, practitioners, and young investigators to exchange their ideas and help them build an international network. More importantly, Asia Pacific is witnessing a flourishing population of researchers and a rapidly advancing standard of healthcare so the demand for high-quality clinical care and interest for biomedical research is soaring. This emerging group of young investigators generally lacks overseas experience. To provide an opportunity for them to attend a big conference, we organized IDDF that can also serve as a platform for international exchange. Scope: What challenges has IDDF confronted? Wu: We have seen a proliferation of conferences in the Asia Pacific region, which posts a challenge of attracting new and returning participants. We also need to meet the demand for high-quality papers. Scope: How did the Organizing Committee overcome these challenges? Wu: We have several strategies to overcome these challenges. First and foremost, we maintain our uniqueness as a concise one-and-a-half day programme that covers a wide variety of topics. Secondly, we offer a number of Young Investigator Awards of attractive amounts to authors of outstanding abstracts. In fact, to attract quality papers, we have partnered up with Clinical Gastroenterology and Hepatology, to publish submitted abstracts in this journal. This procedure will expedite the review process of full manuscripts. Scope: Could you tell us more about the Young Investigator Award? Wu: The YIA, short for Young Investigator Award is our initiative to assist young investigators financially to attend an overseas conference. It also aims to encourage and recognize their innovative research. An abstract author is eligible to receive a minimum of 500 to a maximum of 3000 USD travel allowance plus complimentary registration. Oral presenters will be able to present their work in a global setting, be recognized for their accomplishments and even more importantly, receive invaluable feedback from leaders in the GI field. Indeed, YIA is one of IDDF’s major appeals. Scope: What are IDDF’s other appeals? What distinguishes this forum from others? Wu: IDDF is unique in many ways. One of our biggest strengths is the organizer’s reputation as a world-renowned institute in the fields of gastroenterology, endoscopy and hepatology. We have our own local faculty who are first classexperts in different fields, so we have a robust scientific programme to support a high-quality conference. Throughout the last two decades, we have published ground-breaking papers that changed clinical practices worldwide. Our previous achievements in research helped us establish an extensive international network with global key opinion leaders. These efforts brought us the most cutting edge advances in medical knowledge and recent development. In addition to our academic peers, we have established a strong partnership with industry partners, through our research output. Because of our expertise in endoscopy education and our strong network with industry partners, we have developed an excellent facility and infrastructure to host many satellite workshops simultaneously to complement the core programme. We understand that our targets are busy clinicians, so we schedule the best sessions into our core programme to keep topics concise. For those with focused interest, we also provide the options of late arrival at and early departure from satellite events. Our international standing attracts many working group events, namely AEG, Asia Pacific Natural Orifice Translumenal Endoscopic Surgery Working Group (A.P. N.O.T.E.S). Scope: How does the 2015 programme compare to previous years’? Wu: In the past several years, we have been witnessing an encouraging development in advanced endoscopy. For example, narrow band imaging (NBI), EUS, the growing popularity even for general endoscopists. In 2015, our programme addresses this burgeoning demand for EUS-related materials. Scope: What goals have you set for IDDF for the next 5 years? Wu: First and foremost, we must uphold our institute’s position as a hub of international exchange in the field of gastroenterology. In doing so, we will attract international working groups meetings, the region’s top abstracts and more international members in our scientific committee. 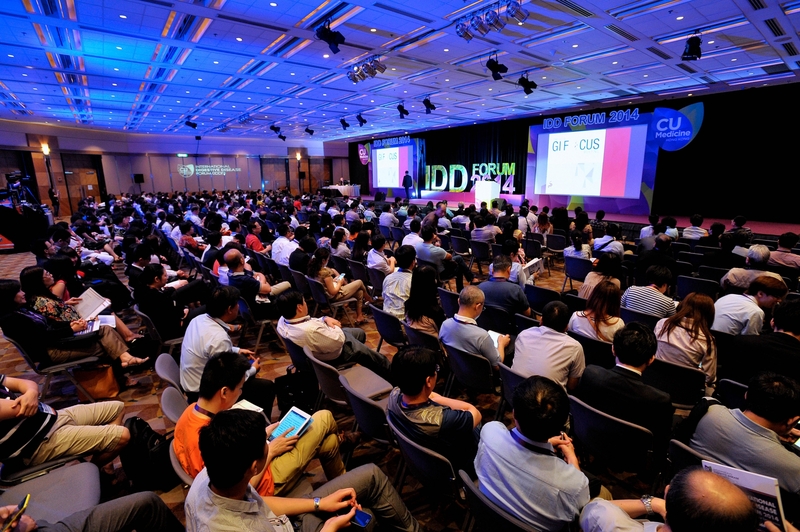 When our vision is fulfilled, IDDF will develop into one of the most sought-after GI conferences in the Asia Pacific region. As we anticipate rising prosperity of scientific research and mounting impact of research activities in this region, we feel confident that our forum will become a bigger and more influential conference.